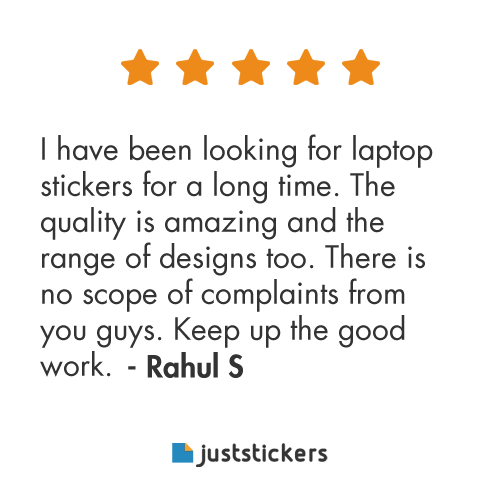 When we started Juststickers.in, our goal was to provide the best stickers in the world and provide a great platform for everyone to create them. We worked hard in finding the right materials and the production process, which would help us to achieve the target. But there was a lot missing and we had an uphill climb. Initially, we used vinyl materials. These stickers came out pretty good but we were still not very happy with the quality we were aiming for. Sometimes the cut wasn’t good enough or sometimes the sticker use to come off after six months or so. Like any other passionate startup, we were sad. Our product quality was not up to the mark and we wanted to do anything to make it better, to make it the best. Hence, we researched more, invested in newer machines and then finally came to a quality which we were proud of. This new sticker was reusable. Yes, one could remove it and reuse it up to as many as 99 times as long as it was pasted on a clean and dry surface. The best part about this sticker was that it wasn’t leaving any residue or marks on removal. It was perfect for any gadget or any other surface as such. We tested it internally for a couple of months and then moved onto beta testing with some customers. The positive reviews we got from this testing were overwhelming. After that, we started using it without officially launching it. 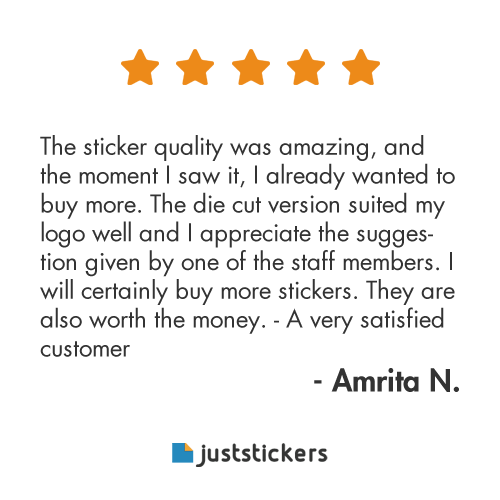 We constantly got a 5 star rating on all our stickers for the 3 months since we have been using the new stickers. All the hard work and the constant will to deliver the best product finally paid off. 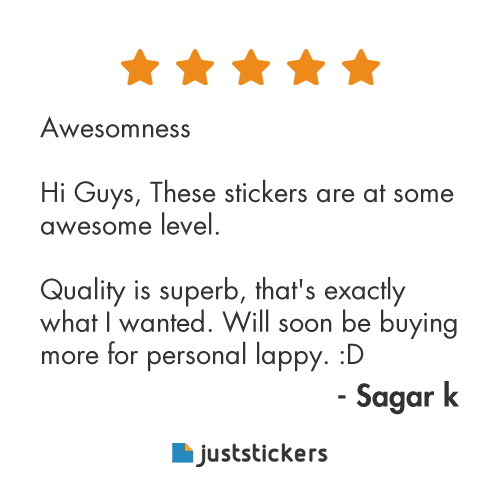 It is really very hard to describe that feeling when your customers really love your product. You can easily remove it, re-apply it anywhere else you want. Just make sure you stick it on a clean and dry surface. We tested the re-usability internally and it worked almost 99 times. 😎 This enables you to swap the stickers from your laptop to your smartphones, tablets and vice versa. Or you can just change stickers depending on your mood of the day! The only disadvantage at present is that if applied at a place where direct sun light falls for the maximum part of the day, the colours fade off by a bit in seven to eight months. This is the issue which we are going to solve very soon too. Thousands of people have loved our new stickers. We are sure you are going love them too. Check them out here. 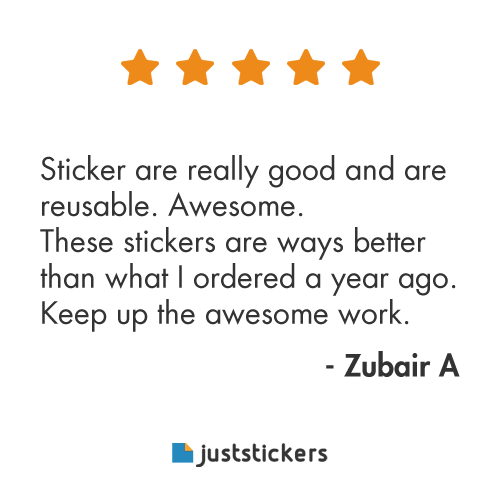 Here are some of the amazing reviews we have been receiving ever since we started shipping the reusable stickers 🙂 This just makes us sooooo happy!